Your science-based blueprint is designed to get unstuck when you’ve hit a plateau. You’ll learn the secret to my success and do EXACTLY what did to get it going again. My success was not accidental. I had to start eating smarter rather than “perfect.” I tried calorie counting like an accountant, “eating clean”, hiring personal trainers that cost me $1,000/mo. Nothing. I had to dig deep into the science and what I learned shocked me. The “health and fitness industry” promulgates 3 myths that keep us fat. 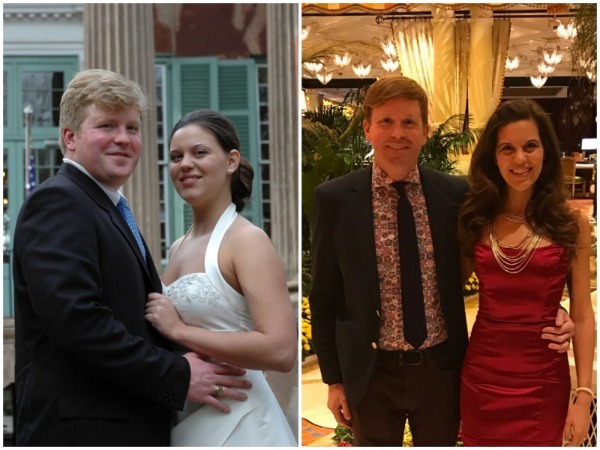 Uncovering that + discovering the Thermic Effect of Feeding finally allowed me to break my weight barrier, lose 25 more pounds (after a 2-year plateau) and keep it off for 3.5 years. My body fat went from 24.1% to 12% (and I’ve got the InBody scans to prove it). 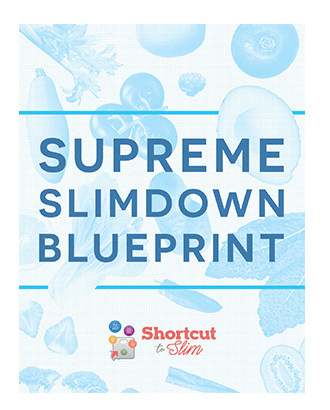 The Shortcut to Slim: Supreme Slimdown blueprint provides very clear directions, telling you EXACTLY what I did with an overview of the science behind it, so you get the same results. Everything is completely laid out for you: Delicious breakfasts, lunches, and dinners every day, plus snacks and desserts. No confusion. Zero ambiguity. Even portion sizes are included! By using this blueprint, you will literally be doing exactly what I did to break my weight barrier. Plus every meal is scientifically designed to help you lose weight. How great would it be to eat smarter and not work harder for once? Complicated / take too much time. Based solely on calories in < calories out. Breed dependence / only work so long as you’re on them (not sustainable). For a nutrition plan to work it has to be simple. It can’t be ultra restrictive, have tons of crazy rules, require tons of cooking and planning. It has to fit and work with your lifestyle, which means you have to be able to take shortcuts with a microwave or buy premade meals from Trader Joe’s/Chipotle/Subway when life gets crazy. And you need to have a laundry list of safe options to order at restaurants because humans are social animals and dieting in isolation leads to binges and rebellion. 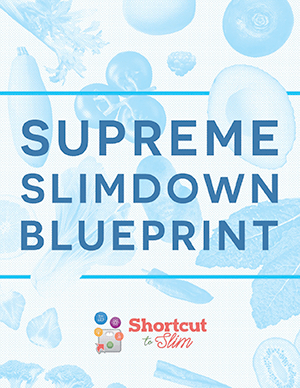 That’s why I’ve included ALL of that in the Supreme Slimdown Blueprint. Most importantly, I believe a diet plan shouldn’t just work, it should also WORK FOR YOU. This is what the Supreme Slimdown blueprint is all about. The only diet plan that is science-based and specifically designed to restart weight-loss when you've stalled out or hit a plateau. No matter how hard you try or what you do it seems impossible to get past a weight barrier? You are not alone, thousands of others share your struggle. I want you to stop feeling so bad because your plateau or 'failure' to lose weight is not your fault. FACT: This basic equation is not untrue but “counting calories” does not take into account the Thermic Effect of Feeding, the number of calories you use to digest, absorb, transport, and store calories in fat. Foods with a lower cost of digestion make you gain calories back on the backend because they require less metabolic effort. The meals in the Blueprint have a higher cost of digestion so you burn more calories internally. MYTH: You can eat as much as you want so long as it’s “clean” (wfpbno). FACT: Plants do not have magic calories that do not count. If you overfill your gas tank, gas spills back out at you and create a fire hazard. Your body is no different, except the hazard is weight gain/lack of loss. MYTH: You should eat 6 meals per day. FACT: You cannot “stroke” the metabolic flames. Your metabolism is set by your vital organs not your eating schedule. Studies comparing 3 meals vs. 6 meals showed there was no difference in fat loss. Other studies have shown that eating frequently leads to changes in hormones that make you feel “fake” hungry causing you to overeat. MYTH: Eat until you are “comfortable full”. FACT: Scientists still do not full know what makes us feel “full.” Trying to chase this mythical dragon makes most people overeat. The secret to “maintaining” is learning exactly how much food your body actually needs and eating that exact quantity. Eating proper meals for 1-2 weeks using the Blueprint helps you develop the framework to eat more biologically on your own. FACT: The weight loss and “diet” industry banks of repeat customers. “Diets” only work as long as your on them. 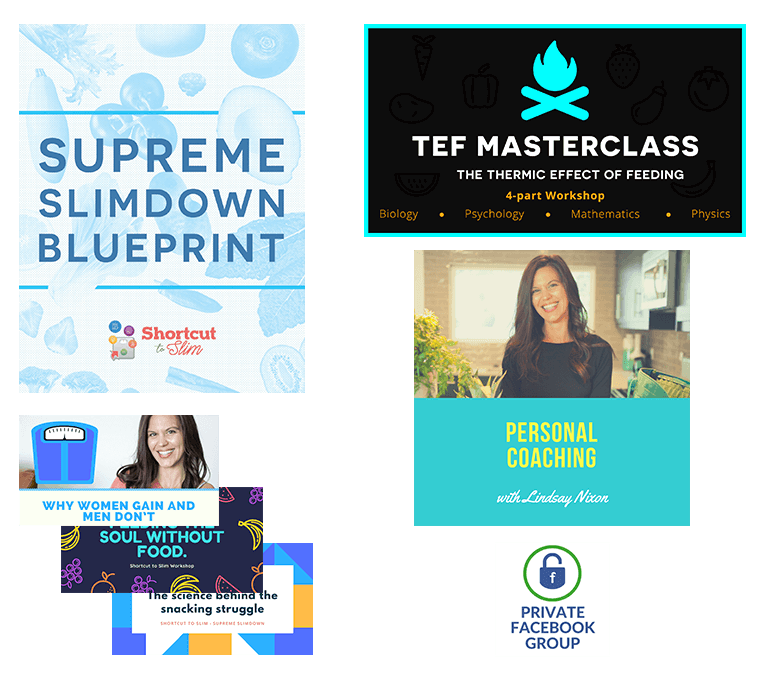 The Supreme Slimdown Blueprint was carefully designed to be a “quick fix” and also a research-based teaching tool so you graduate off it, and never "diet" again. Imagine taking a transition approach. Image starting a 'diet plan' that ends with weight loss AND also the knowledge of HOW and WHAT to eat so maintaining just works. Imagine feeling and looking 10 years younger, having teenager energy, less bloating, and the good vibes of knowing your taking action today that protects your future? That’s the promise of my Shortcut to Slim Supreme Slimdown blueprint. I’m giving you the exact system I used to get from my “before” to my forever “after” which took more than counting calories, eating “perfect” or trying to hate-talk myself skinny. My success was not accidental. I had to dig deep into the science and learn how to eat smarter and in a way that fostered weight-loss. I now use those same strategies to maintain. If you’ve decided for yourself you want what I have, and you’re ready to get your weight-loss going again, you need this blueprint. 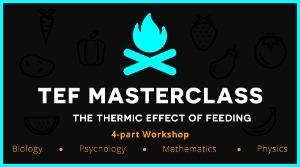 #1 Each recipe takes into account the Thermic Effect of Feeding. #2 Each daily menu is 1,200 calories. #3 Portion sizes are included so there is no way to accidentally “overeat”. #4 Foods that are known to cause inflammation and bloating are also avoided (no soy, wheat, corn, oil, or animal products). Before creating this blueprint I authored 5 best-selling vegan cookbooks, 1 plant-based (vegan) lifestyle guide, and founded the first online vegan meal plan service. I’ve spoken at dozens of conferences around the world, been featured on Dr. Oz, Oprah, Food Network, NYTimes and routinely consult with private clients and celebrities who pay $350/hour to get the same advice I’m giving you in the Blueprint and workshops. Calories in < calories out does not take into account the cost of digestion. Some foods make you gain calories back on the backend because they require less metabolic effort. The meals in the Blueprint have a higher cost of digestion so you burn more calories internally. You can have a life, eat at restaurants, not cook every day, and still lose weight with this blueprint. Zero ambiguity. Everything is completely laid out for you with lots of examples. 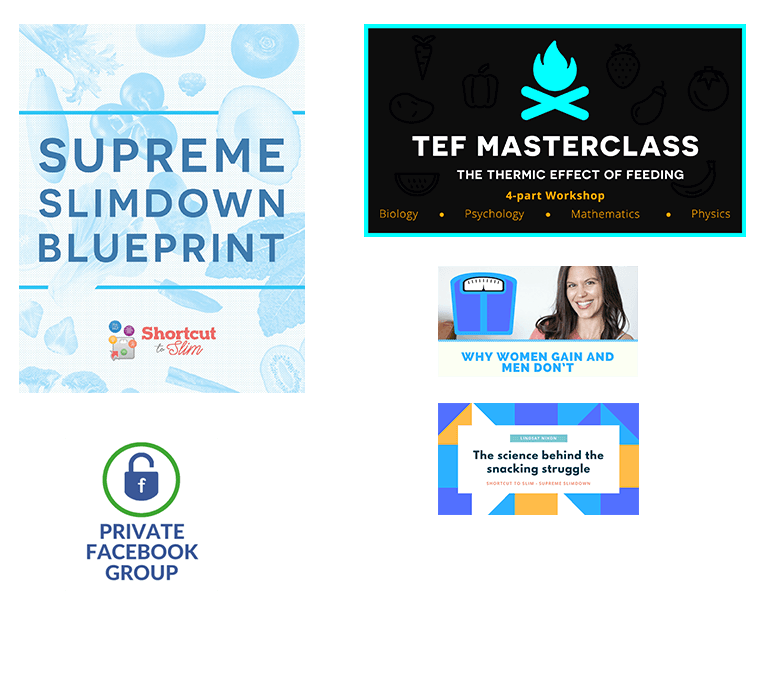 This Blueprint the only science-based weight loss plan using TEF. You're ready for this blueprint. I can’t wait to hear your success story and see your before and after pics. So be sure to me a few email updates or tag me on social media. And pretty please please please never hesitate to ask me any questions you may have. I’m here for you every step of the way. What's Included In The Blueprint Edition? 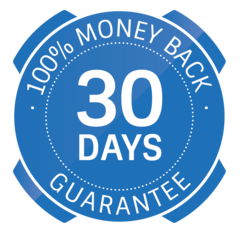 This blueprint is specially and scientifically designed to help the customer lose weight faster. You need to follow this exact structure for maximum results in 14 days. 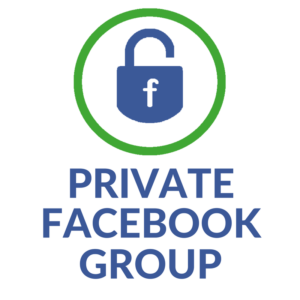 Our community is a supportive, non-judgement, and encouraging place for you to share your questions and get support for your struggles. 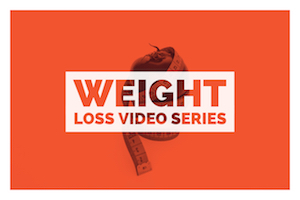 Three Videos + complete written transcripts from my Weight Loss Series: How I lost 25 pounds, how to lose weight with the Thermic Effect of Feeding, and the Overeating Summit (all the tools and science to stop overeating). 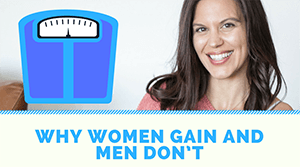 Find out the real (shocking) reason women gain weight in relationships (hint: it's not because you're "comfortable" or "letting yourself go") and the fixable solution to stop this immediately (it's not divorce!) This workshop will also discuss other common weight struggles and culprits unique to women with actionable strategies and scientific tools for dealing with each. This is an incredible opportunity for women to blossom together through the bonds sisterhood, love, and hope. 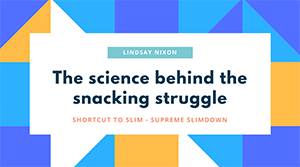 Learn more about WHY you snack (hint: it's not always real hunger, but biology and psychology are at play), what to eat if you must snack, the pros and cons of snacking for weight loss, plus 8 science-based methods that stop snacking at night. The relationship between snacking and metabolism is also supremely fascinating. This workshop will also dig into the science behind cravings: why you have them, what they really mean (you'll be surprised) and how to respond when they hit. If snacking is one of your culprits and cravings are your kryptonite, do not miss this helpful workshop! Full-view foundation class on calorie science, metabolism, the effect of exercise, and how to use food quality/TEF to boost weight-loss. Get up to speed on the latest research! Discover how you can eat smarter and lose weight faster with tiny actionable tweaks.